Northland. This 141ha regenerating farm block lies to the west of S.H. 12, sloping down towards the coast. It adjoins the southern edge of Waipoua and extends through to the Katui scenic reserve further south. The other boundaries are with farmland. The property was up for sale as a dairy farm in 1991 but the owners were prepared to subdivide so that the Trust could purchase the more ecologically significant piece while still leaving a viable dairy unit to sell on the better contoured land adjacent to S.H.12. The land appears to have been cleared and left to regenerate several times, however in some places the bush was left to re-grow relatively undisturbed. The north-eastern sector is culturally significant as a traditional tui hunting ground, from which the small hill Pukekaitui gets its name, and after which the small settlement on SH 12 at the entrance to Waipoua forest is named. Although most of the reserve was in pasture at the time of purchase, there were a number of pockets of tall native bush and many of the steeper slopes were rapidly regenerating. Trees present include puriri, nikau, karaka, kowhai, kahikatea, kohekohe, taraire and tree coprosma, all typical of local semi-coastal forest, as well as kauri, totara and a good stand of kawaka. Bracken is now taking over the grassy areas providing good protection for plantings of flax, coprosma, manuka, cabbage tree, karaka and puriri. Although kiwi prefer mature forest, many now survive on marginal land. Kiwi have been seen feeding in such areas where they eat grass grubs, porina caterpillars and crickets, all a valuable food source. Sadly, uncontrolled pig dogs have all but wiped out the local population. 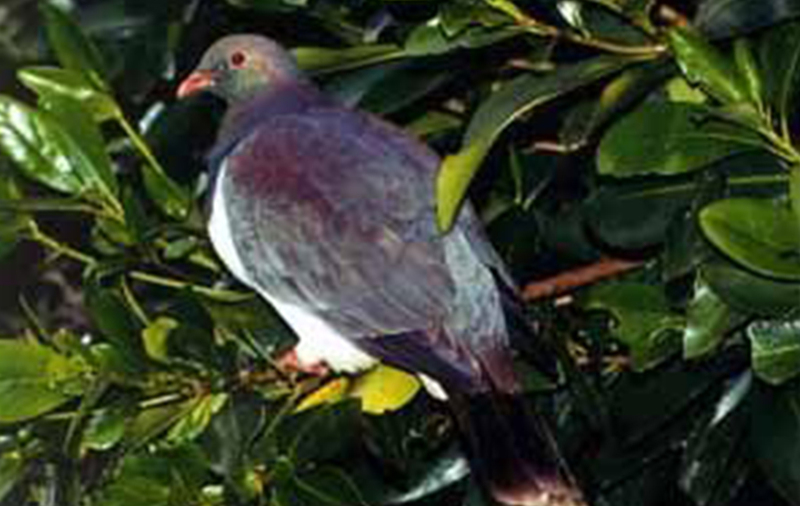 Many other native birds are on the reserve and include the New Zealand pigeon or kukupa, which is attracted to the puriri and other fruiting trees. There are also kauri snails and giant centipedes. The principal value of the reserve is its addition of lowland forest habitat in Waipoua in the puriri zone. The block plays an important role in linking the isolated Katui Scenic Reserve with the main body of Waipoua forest, providing safe passage for kiwi and other creatures. At the northern boundary entrance there are excellent views over the ocean and towards Maunganui Bluff. Mature cabbage trees provide an artistic foreground for amazing sunset photos. Nearby is a young kauri planted in honour of Elvie McGregor, where her ashes were scattered. The Morningside Track leads from the Lookout road down through Department of Conservation bush and you reach the reserve at the bush edge. Good views can be had of the reserve and the coast. A less well defined track carries on down into the reserve and links up with old farm tracks. Return is via the same route. Entry is at your own risk. Dogs are prohibited. Visitors can stay at the Waipoua Lodge at Katui, or the DOC camping ground down in the forest. Over 10,000 trees have been planted on the reserve, and it is now mostly being left to regenerate. Puriri and karaka planted by the trust are now of good size and fruiting well. Waipoua is 48km north of Dargaville, and Katui a few kilometres before that (as you crest the last hill before the forest), distinguished by the Waipoua Lodge Restaurant. Turn off to the left just past the restaurant on to the Lookout Road. A kilometre or so along the Morningside Track entrance can be located. The reserve can also be viewed from Kerr Road, showing up between the Katui Scenic Reserve in the foreground and Waipoua Forest behind. Signs have been removed to deter hunters.